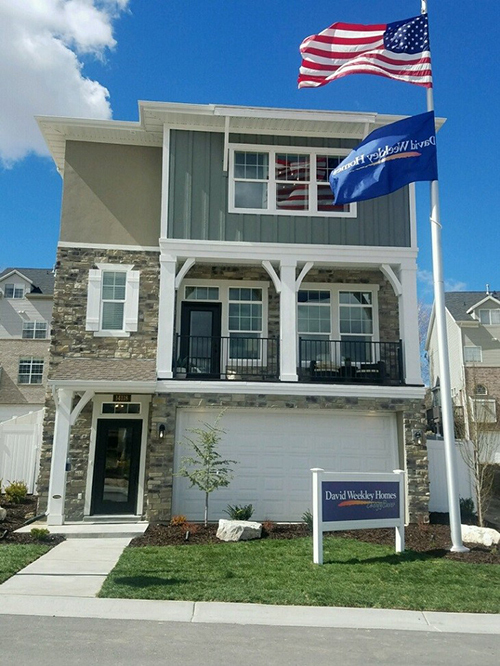 Salt Lake City, UT (April 5, 2017): David Weekley Homes, the nation’s largest privately-held builder, is now selling three new series of homes in Deer Run Preserve: Bungalows, Cottages and Estates. Priced from the $380s, Deer Run Preserve Bungalows offers buyers four floor plans nestled on 35-foot homesites. Ranging in size from 1,800 to 2,200 square feet of living space, these two- to three-story homes feature three to four bedrooms, two to three full baths, one to two half baths and two-car garages. The Bungalows series showcases scenic views of the Salt Lake City skyline and nearby mountains. Deer Run Preserve Cottages provides homebuyers four award-winning floor plans priced from the $500s and offering 2,500 to 4,000 square feet of living space. Situated on 64-foot homesites, these one- and two-story homes have three to seven bedrooms, two to four full baths and three-car garages. The Cottages series offers buyers such upgrades as a super shower in the owner’s bath, French doors at the study and a finished basement with a game room and additional bedrooms. In Deer Run Preserve Estate, buyers can choose from six floor plans on 72-foot homesites, priced from the $570s. Featuring 2,400 to 5,000 square feet of living space, these one- and two-story homes offer three to eight bedrooms, two to six full baths and three- to four-car garages. Homes in the Estate series have options for such upgrades as a gourmet kitchen, a finished basement with media room and an extended covered porch. Two fully-furnished model homes, The Pontiac from the Bungalows series and The Pennfield from the Estate series, are now open daily for tours. For more information about David Weekley Homes in Deer Run Preserve, contact 800-240-7487. The Pontiac model home, from David Weekley’s Bungalows series, is open Monday through Saturday for tours in Deer Run Preserve.